Six months ago, in London, we promised to meet again in Kabul. And so, today, we are gathered here on this auspicious occasion the first international conference on Afghanistan to be held in Afghanistan, organized by the Afghan Government for the Afghan people. President Karzai, we thank you for your hospitality and your leadership. Thank you for your very hard work in making this day happen. Please be assured: we recognize that the journey from London to Kabul is measured in more than miles. It is measured in the progress that you have made in delivering on the London Commitments. In London, we redefined the relationship between Afghanistan and its international partners. In effect, we forged a new compact a compact that builds on the lessons we all learned from the past. Henceforth, Afghans would increasingly take the lead in shaping their future. Embracing its own destiny, the Afghan government would take essential steps to deliver on the needs of its people. And that is precisely what has begun to happen. Slowly but greatly, surely, the government has expanded its capacity and scope of governance. It has spelled out what it intends for the future and how it intends to get there. With this conference, we mark the true beginning of a very fundamental transition. I would like to take this opportunity to address a few words directly to the people of Afghanistan, who are listening through radio or television or who may read what we say today in newspapers tomorrow. We here today share your aspirations and we understand your frustrations. We are aware that, with the best of intentions, the government and its international partners have sometimes sought to achieve peace, security and development without sufficient engagement of the Afghan people. At times, we have shown insufficient consideration for Afghan culture and history. The Kabul Process, upon which we embark today, is intended to do better. The government has taken the lead in designing programmes that the international community will support. These plans aim to deliver real results for you, the Afghan people, without delay. They aim to establish effective democratic governance and guarantee your rights and the rule of law. Yet these programmes cannot succeed without your support â€“ without all of you, acting in good faith. That is why, today, we appeal to the Afghan people to come together to achieve peace through reconciliation to achieve justice through mutual respect to build a future based on economic development and mutual cooperation with full respect for your nationâ€™s sovereignty. This is my message to the Afghan people: to unite in the national interest. You have suffered much, for too long. The United Nations and I personally will do all we can to help build a brighter future for you and your children. The Afghan people wish us well at this conference. But they will base their judgments on our actions, not our words. This conference is not meant to review or revise our strategies. We are here to support the Afghan government and its new priorities to reaffirm our pledge to stay engaged for the long term. 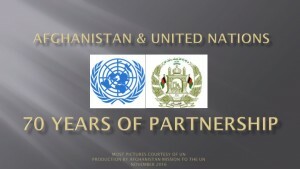 This gathering marks a milestone in a journey begun in Paris in 2008, with the Afghan National Development Strategy. We continued along our road with meetings in Moscow, The Hague and, more recently, in London. Today, Afghanistanâ€™s government is becoming a full and increasingly effective partner. Afghan ministers have met important short-term commitments. They have set up effective consultation structures. 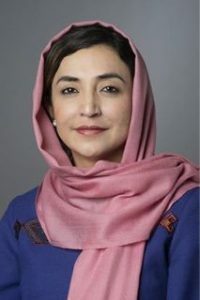 They have devised programmes which, with international support and Afghan resolve, can bring tangible change into the lives of ordinary Afghans: improved security, better standards of living, and an inclusive intra-Afghan dialogue, stronger regional cooperation can complement domestic result. In this regard, we welcome sincerely the recently concluded Afghanistan and Pakistan trade and transit agreement which is a very promising examble. And they have done all this in a short time, amid a dense political calendar that has included electoral preparations and the Peace Jirga. I commend President Karzai and his cabinet for this achievement. As we move ahead, security will be crucial. Let no one think that we are closing our eyes to the challenge. But these are programmes that can be implemented now, despite the security challenges. Neither should anyone interpret our efforts to pass responsibility to the Afghan government as a sign of diminishing international resolve. Yet let us also be clear: just as Afghans are taking greater responsibility for governance and development, so must they take greater responsibility for security as well. This was our goal nine years ago; it remains our goal now. Afghanistan must take that decisive step towards guaranteeing its own sovereignty. The government has prepared several important documents on the security situation, including the National Security Policy and the Afghan Peace and Reintegration Programme. It has designed a strategy for the transfer of lead responsibility on a province-by-province basis, according to clearly defined conditions. The Ministry of Interior has carried out important institutional reforms. The Afghan National Army and National Police continue to receive essential training. These efforts must continue â€“ with international support. Todayâ€™s conference is also an opportunity to highlight the grave situation of Afghan civilians affected by the conflict. We continue to see a rise in indiscriminate, disproportionate and deliberate attacks by anti-government elements against civilians and government representatives. Too many Afghans see their basic human rights violated again and again. Improving security for Afghans is not just a matter of physical protection. It also requires accountability for serious violations of human rights â€“ those happening now and those that took place in the past. And of course, Afghanistan will not achieve peace, development and human rights without the full participation of women. Let me close by expressing my profound gratitude to all the international community members for providing military assistance [inaudible]at a great sacrifice and also providing financial and economic support to Afghan people. And I would like to take this opportunity again to express my profound gratitude to our Special Representative, Staffan de Mistura, and his UN staff for their outstanding work. Their exceptional commitment, and exceptional bravery, is an eloquent testament to all that is at stake. I assure you Mr. President that the United Nations will work and deliver as one United Nations. And thank you for giving us for this opportunity to work together with you. Let me assure you that we will be working closely with Finance Minister Zakhilwal, the Afghan government and other partners as we move ahead. We need to develop concrete mechanisms for helping the government to implement its ambitious programmes. We need to assure that aid and development programmes are well-coordinated fully transparent and comply with the seven principles of good-donorship that we will discuss today. We cannot overstate the importance of this mission. In fulfilling it, I look forward to working closely with all of you confident that the measure of our success will be our deeds, not our good intentions.